In his 32-year career as a road warrior he has managed to dance on the Great Wall of China, witness a revolution in Russia, hunt with Masai, eat piranhas with headhunters, play polo with maharajahs, box with a heavyweight champion, get knighted in France and Portugal, and be named Lord Millcombe in England. Today he numbers 22,000 subscribers who follow his recommendations faithfully. No wonder Vogue magazine called ENTREE the “Rolls Royce of travel newsletters.” Each month Mr. Tomicki skewers the mediocre and exalts excellence so that his readers do not waste their time and money. Now honored as an eminence gris (and adult terrible) after a long traveling career, Mr. Tomicki knows: It doesn’t matter where you go as long as you are with the person you love. He considers one of the best rewards of travel simply the art of coming home. The Canary Islands: A Cultural History is anything but a traditional guidebook. 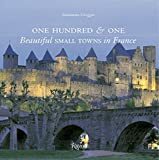 It is rather a fusion of literature, history and travel sure to prove both useful and inspiring. The somnambulant city of Havana, long in a slumber of decay, now seems poised for a new chapter as the world starts “discovering” a new, open, thawing Cuba. 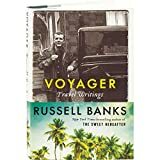 Novelist Russell Banks admits to having a serious case of wanderlust for the better part of half a century. Now 76, his international reputation as a writer in the grand tradition is secure. If that "Stay thirsty my friends" Dos Equis man hadn't been dubbed "The Most Interesting Man in the World," surely Geoffrey Kent could claim the sobriquet. Unraveling the quixotic and somewhat contradictory life of the great painter George Catlin must have been a daunting challenge.